Teaneck Taxi is always there for you. Teaneck Taxi service NJ & EWR airport cab is open 24 hours a day; seven days a week and 365 days a year to meet the scheduling needs of the busy corporate client or the special event requiring flexibility. 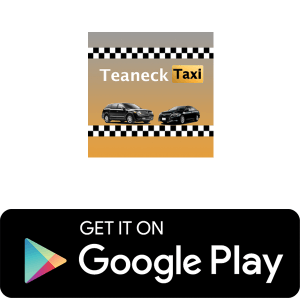 Teaneck Taxi provides all your ground transportation services from fast local taxi service pick-up to cheap airport taxi services from anywhere within the bergen county to JFK, Laguardia (LGA) and Newark (EWR) Airport. Please feel free to look through our website to find out more information, and when you are ready, you can request your reservation online or just call and one of our many representative will be happy to assist you. Visit our Promotions page for our latest promotions, discounts, coupons and more. 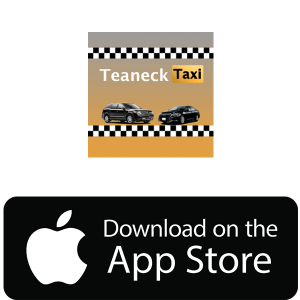 Save big when you ride locally with Teaneck Taxi. Potential savings are unlimited. Airport Transfers coupons are hot, get a coupon for JFK, Laguardia or Teterboro Airport. Don’t ever miss a deal, stay up to date with our social media pages and you’ll just might be the 1st to redeem and save. No computer access? No Problem! Teaneck Taxi Provides the most reliable NJ taxi service within Teaneck, Hackensack, Bergenfield, Tenafly, Englewood taxi, Dumont, Edgewater, Paramus and Bergen county. Teaneck Taxi also provides transportation to all Airports, Bus and Train Stations within the Tri-State Area, whether its JFK (John F Kennedy), Laguardia, Newark Liberty International, Teterboro Airport, Gran Central, Penn Station or Amtrak we’ve got you covered. Our Newark airport taxi service NJ has over 25 years of direct experience within the transportation industry. Teaneck Taxi has a proven track record of excellence for Taxi Service in Teaneck & Bergen County, we’ve been voted the Best of Teaneck consecutively on numerous occasions and by different bodies and organizations. With all the unpredictable changes in the economy, Teaneck Taxi has alway managed provide the most competitive pricing to our customers no matter what the situation is, from high gas prices to anything you can come up with we still got you. The vehicles within Teaneck Taxi’s fleet are well maintained and therefore always in the best condition, in order to fulfill every type of customer request; we regularly update and add vehicles to our fleet, with this availability in variety its almost as if the cars have your own personal touch. Did we mention how on-time Teaneck Taxi always is? Can a company stay stay in business for 25 years by offering poor service? We don’t think so. Time is of utmost importance to Teaneck Taxi and we ensure that we use the most efficient systems and technology to maintain and exceed customer standards and expectations to provide you Taxi Service in Teaneck & Bergen County. Our NJ taxi company is in business to serve you our valued customers, Book our NJ taxi service to EWR or any other place in the area Online now or on our Mobile App and see for yourself who the best Taxi Service in Teaneck & Bergen County is. Looking for Limo Service in Bergen County? In case you want complete luxury and glamour in your transportation please visit our partner NJ limousine services in Teaneck,NJ.